Create the most fertile soil for your garden with this recipe. Just like a winemaker spends time and energy creating the correct “culture” of the grapes, or the baker spends years perfecting the perfect yeast starter for breads, the best gardens have a unique culture and produce the most vibrant edibles, flowers, lawns and other foliage. 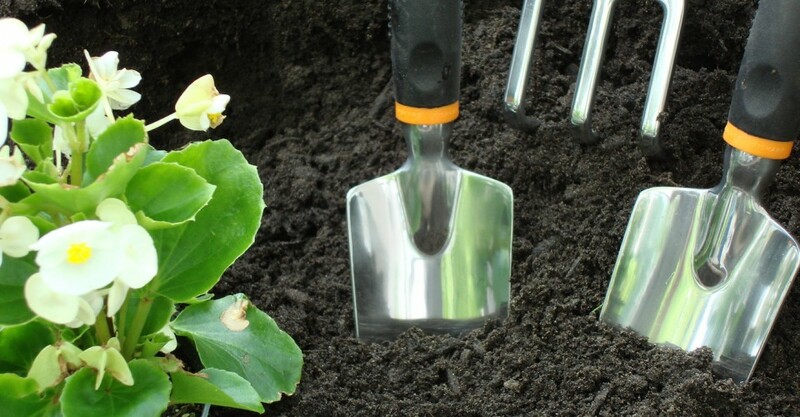 Spending time to assess your current soil, and learning how to amend it, will help ensure that the plants you purchase become truly successful. Like anything homemade, your initial learning curve may be steep. But being educated about your soil, and being able to successfully grow vibrant plants and edibles, is usually worth the effort. As a general rule-of-thumb, plants need a combination of nitrogen (N, which helps grow stems and leaves), phosphorus (P, assists with rooting) and potassium (K, regulates water distribution among plant cells and helps with the plant’s mechanisms) in a 3-1-2 ratio. Experts refer to this as an “NPK ratio of 3-1-2” and consider it to be the most balanced. Your plants will do even better with additional trace minerals, essential nutrients and natural, organic material that create the best culture for your garden. Keep in mind that different plants may have different nutrient requirements. If you love to grow roses, for example, you’ll want to understand what their best environment should be. If your focus is on vegetables, do some research to find out the best type of soil for your garden – and keep in mind that different edibles may have different needs. The correct pH level for soil, and the method of correcting the pH level is controversial. Some experts believe that a low pH, for example, should be corrected with the addition of lime. Other experts believe that simply adding organic composting materialzfbzcuyqsybrvyararsyawfcfawwursr will eventually correct any pH balance issues. Most experts do agree that over-liming your soil is both detrimental to your garden and may take a long time to correct. There are several ways to test your soil. There are kits you can purchase at a home improvement store for about $10 that will allow you to test for pH levels, nitrogen, phosphorus and potassium – considered the building blocks of good soil. However these over-the-counter tests can also be limiting in results. If you intend to grow specific types of plants, you may do better by sending your soil to an official soil testing company like Logan Labs soil testing service. For $25 you will receive measurement levels of a wide variety of minerals. You can also pay an additional fee for a physical test of the soil (to test sand, clay and silt levels), water absorption tests, and other details about your soil composition. Professional farmers and gardeners rely upon this type of information to ensure their fields are in prime condition. Chemical fertilizers are usually too pure – they may be too potent for the average gardener to use properly and may be too strong for the plants. The so-called “quick burst” fertilizers are designed to dissolve quickly and a heavy rain will wash much of it away and into the groundwater. Many homeowners are wary of chemical fertilizers for a many reasons: cost, harm to humans and pets, impact on the environment, and the pollutants created during the production process. There are multiple ways to fertilize your soil. There are liquid fertilizers, which can be helpful for quick fertilization, and regular fertilizers, which are generally used sparingly. Along with regular composting, fertilizing your plants helps supplement the soil and creates a healthy environment for plant growth. The biggest benefit to using organic fertilizer is that you’ll add both the necessary macronutrients (calcium, magnesium sulfur, nitrogen, phosphorus and potassium) as well as micronutrients (chlorine, boron, iron, copper, manganese, molybdenum, zinc). Many of these ingredients are far less expensive when purchased in bulk. If you don’t want to store such large amounts, see if any friends or neighbors would be willing to split the cost. Feed and seed stores will be a great resource for finding some of these ingredients, as they are commonly used in feeding livestock. Seed meal: organic seeds that are a byproduct of the vegetable oil production process. Provides nitrogen, phosphorus and potassium. Usually consists of sunflower seeds, flaxseeds, soybeans, etc. Choose organic whenever possible. Bone meal, phosphate rock, guano: provides additional phosphorus and trace elements. Kelp meal: otherwise known as dried seaweed, supplies a complete range of trace minerals, growth regulators and other plant “vitamins.” High in potassium and contains 60 trace elements. Lime: a ground, natural rock containing calcium. There are three usual types of lime: agricultural lime (calcium carbonate), gypsum (calcium sulphate) and dolomite or dolomitic lime (contains calcium and magnesium carbonates). Do not confuse these limes with “hot” limes like quicklime or hydrated lime. Store in an air-tight container in a dry, cool, dark location. Once a year, ideally in the spring, spread about 4-6 quarts of fertilizer for every 100 square feet of garden. Blend with a hoe or dig the fertilizer into the soil. To ensure a properly balanced nutrient level in your soil, test your soil’s nutrient levels every several years. Even with a consistent fertilizer and compost addition, your soil may hold on to certain minerals and release others, creating an imbalanced state. Variations and amendments to this recipe may need to be made for your own particular soil structure and plant needs. Want to find an organic landscaper in your neighborhood? Find one on Porch today!